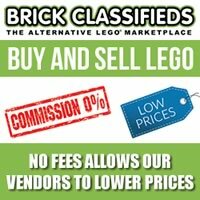 The LEGO Movie Summer 2014 Sets Revealed? 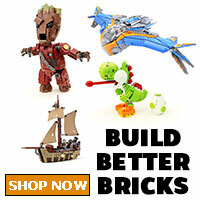 Home The LEGO Movie The LEGO Movie Summer 2014 Sets Revealed? 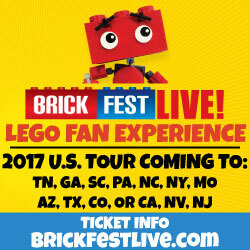 As we all know by now, there will be 17 total sets dedicated to The LEGO Movie, 13 of which will be available on January 1st and the other 4 sets will be available in the summer wave. 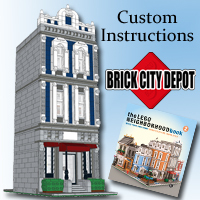 Canticleer blues on Eurobricks and PhoncipleBone on NeoGAF has provided images from various LEGO Movie books , most likely from The Essential Guide, that may hint to what these summer sets will be. 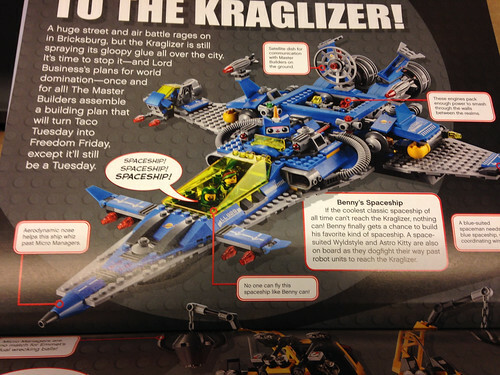 First is Benny’s Spaceship which has a very similar look as the Classic Space sets. From the looks of it, there will also be a blue Astro Kitty riding along the ship as well. Next up is Emmet’s Construction Mech that rolls on treads. 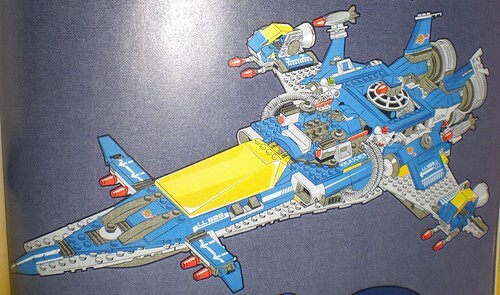 Finally is a Police Dropship that hovers on rotating rocket boosters and if you look closely at the holding cell, could that who we think it is, Mr. Johnny Thunder himself? 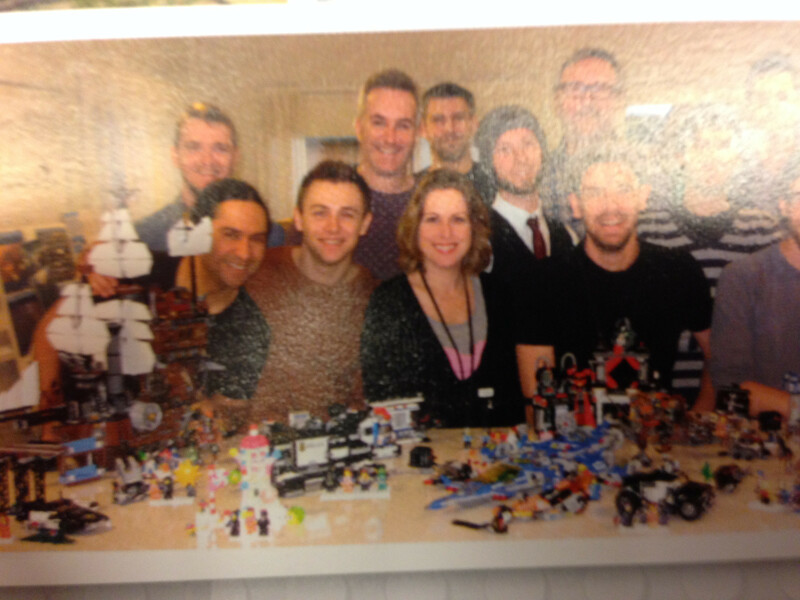 In the staff picture, you can somewhat see all the new sets as well as Metalbeard’s Ship on the left side. Check out the images below and descriptions of the sets. These are not confirmed sets yet but they look official and pretty cool nonetheless. Benny’s Spaceship: Benny, Wildstyle, Astro Kitty and maybe some Robo SWATs. 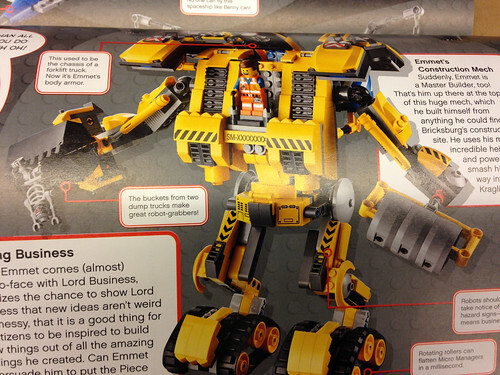 Emmet’s Construction Mech: Emmet, Robo-skeleton, and maybe another minifigure. 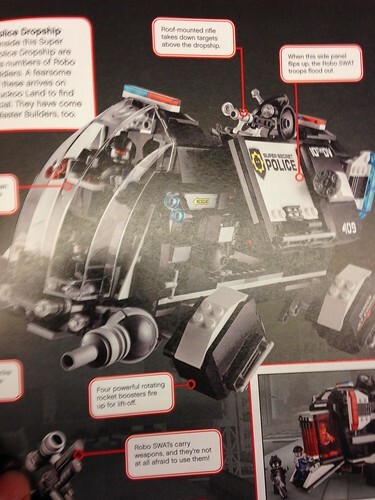 Police Dropship: Batman, Emmet, Johhny Thunder, what looks to be Lloyd, and two Robo SWATs. Metalbeard’s Ship: Metalbeard, Vitrivius, Benny, and some minifigure in green.